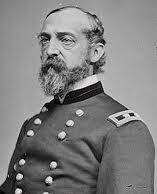 Battle of Gettysburg. Civil War battles Battle of Gettysburg. The Battle of Gettysburg is the “turning point” of the war for the North, as well as the Confederate “High Tide”, being the “northernmost” large scale battle of the war. 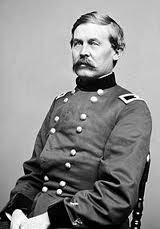 Buford knows he will be outnumbered very soon, as Buford has 2,400 troopers ( mounted infantry with every 3 men on the firing line as the 4th holds 4 horses) against the first initial attack of two brigades that will be reinforced promptly. Time is against him. 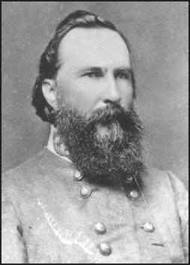 CSA General James Longstreet, Lee’s “Old Warhorse” is against attacks and Lee has generally agreed they will join the corps up together to take the defensive. 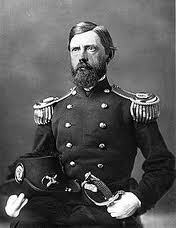 This changes as the Union takes the defensive and forces the arriving CSA corps to attack as they arrive. 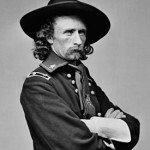 the Confederate Cavalry under General J.E.B. 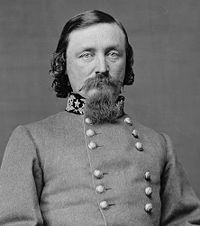 Stuart, who were to attack the Union rear from the east as Lee was attacking the Union center during the well remembered “Picketts’ Charge”. Custers’ men would attack Stuarts column and successfully splinter the proposed Rebel “pincer” movement against the Union center. 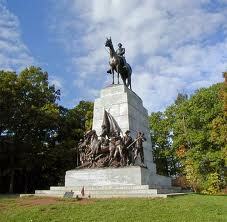 Visit Gettysburg, Pa. and enjoy the friendly town as well as feel the emotion of the history soaked countryside. Here is a selection of informative books to offer you some of the facts and rich history before you go.